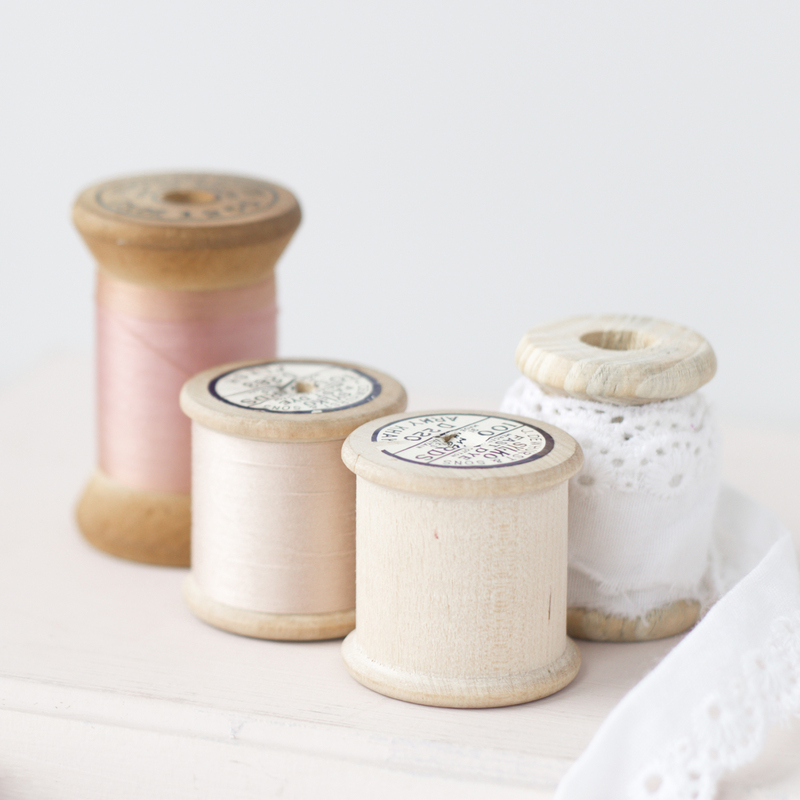 I shared this tutorial a couple of weeks ago, but you still have time to whip some up….I think they would look darling on the top of a present! Hi everyone! 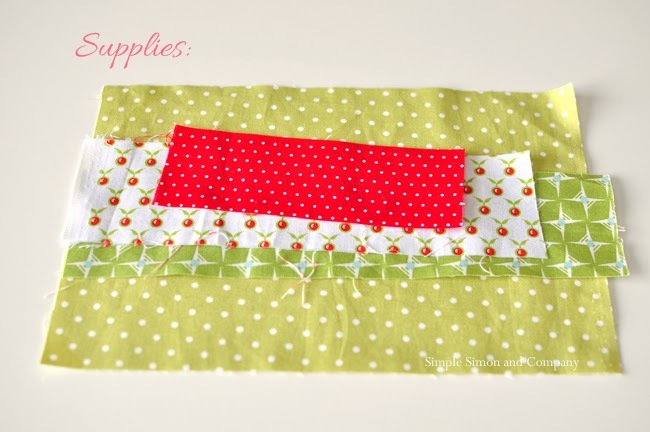 I am Elizabeth, one half of the duo of sisters-in-law who blog at Simple Simon and Company. 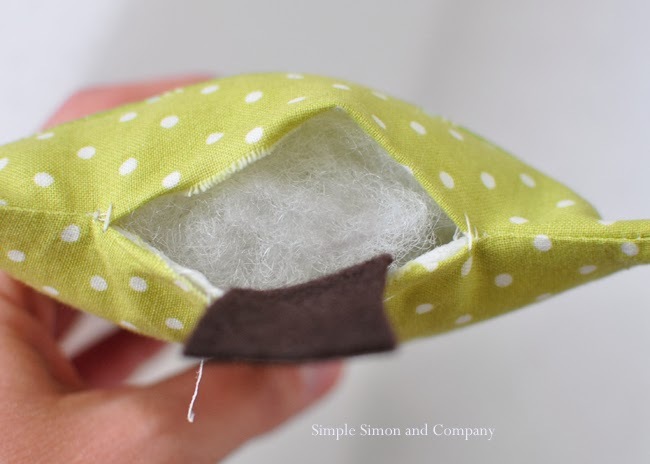 And if there is one thing that we love at Simple Simon, it’s a great simple sewing project that can be done in an afternoon. 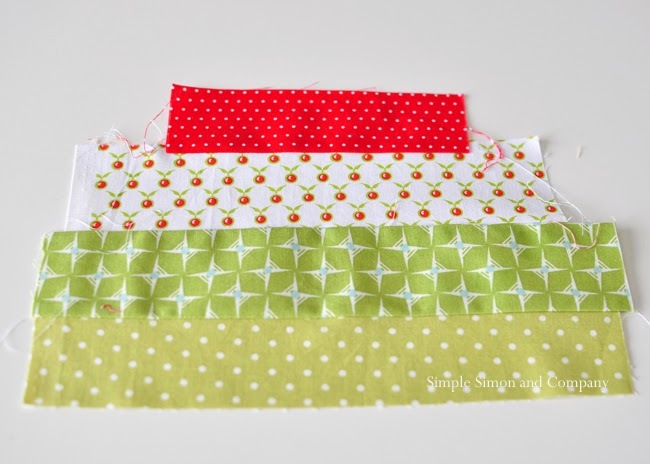 With that being said, project is no exception to that simple and easy sewing rule…..with the addition that these fun little Christmas trees will use up some of your fabric scrap stashes as well!!! Now that’s a bonus! 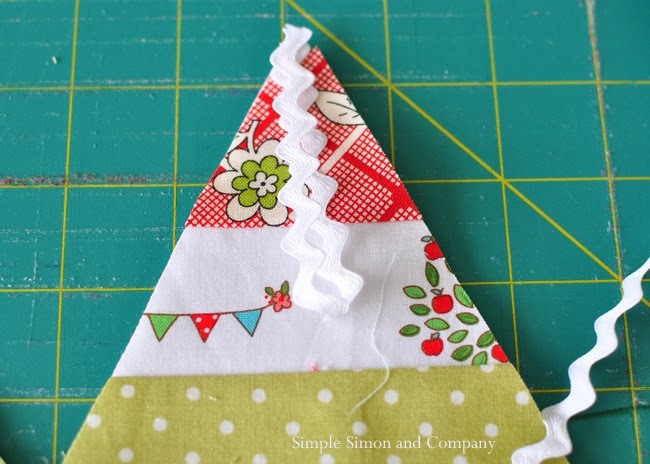 Step 1: Sew all of your fabric strips together into one piece for the Christmas Tree ornament front. 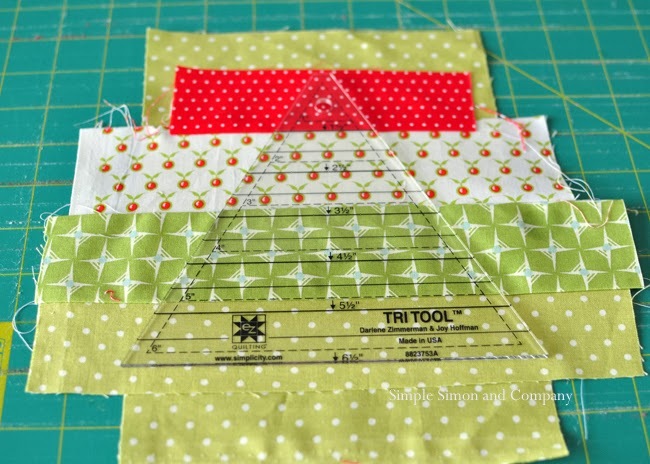 Step 2: Using your triangle quilting ruler, trim up the front and back pieces to form the triangle. 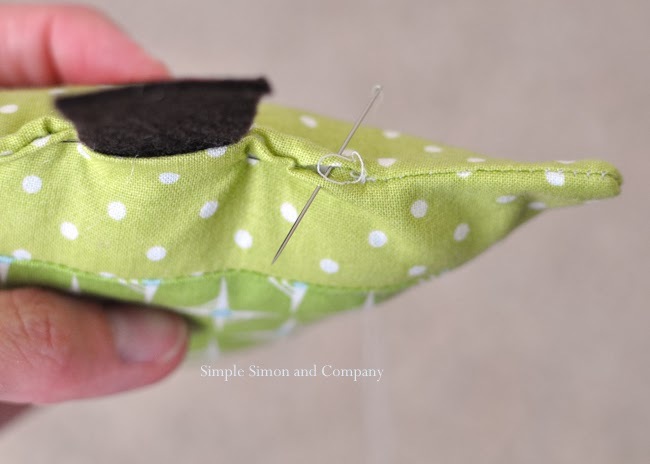 Step 3: Pin your ric rac or ribbon on top of triangle. Step 4: Place triangle backing on top of main fabric piece (and ric rac) and stitch around the triangle, leaving a 2 inch opening at the bottom. 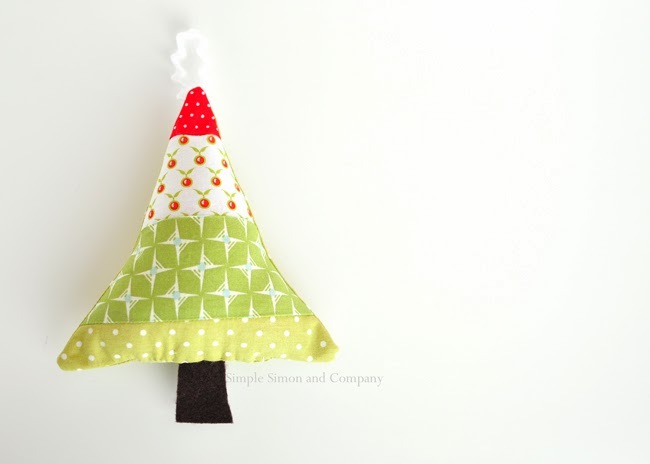 Step 5: Stuff your Christmas tree with batting and then stick your brown felt trunk in the opening. Step 6: Slip stitch the opening closed and you are done! 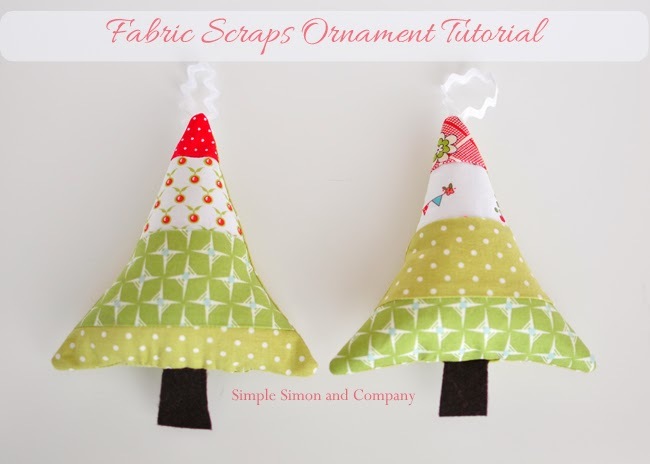 They really are a perfect project for anyone learning to sew…and make cute ornaments for your tree or great handmade gifts for others! 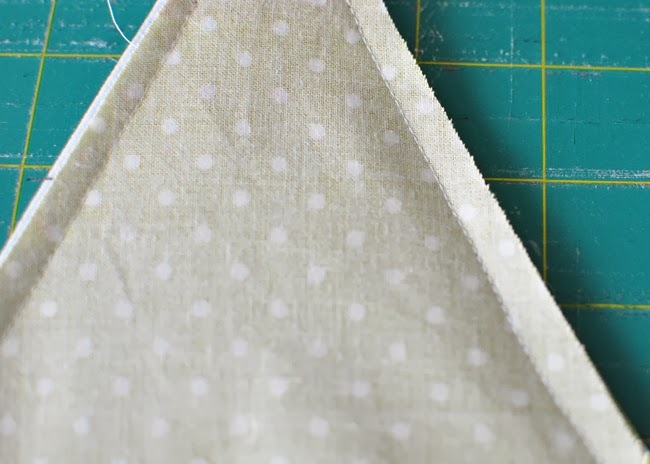 And over on our blog today, we have put up a round-up of some other fast and easy Holiday sewing projects. See you there!! !